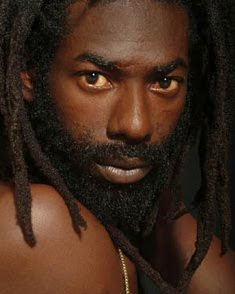 The Lime: Buju Banton has lost 40 pounds in jail so far! Lawyers want him moved! Buju Banton has lost 40 pounds in jail so far! Lawyers want him moved! According to CaribWorldNews, Buju Banton's Lawyers want him moved out of the Pinellas County Jail where he has been since December. The attorney for jailed reggae singer, Buju Banton, is requesting an emergency motion to have his client moved out of the current jail facilities. Attorney David Markus is set to make his case at a hearing set for 10 a.m. Friday, March 27th and is basing his request on dietary concerns. According to the St. Pete Times, Markus claims the singer, has not been provided with the vegetarian diet according to his Rasta faith and as such, has lost 40 pounds so far. The request comes just days after Banton, born Mark Myrie, was moved from jail`s general population area on March 18th, to a higher security section as a punishment for giving his food to another inmate, according to the motion. Banton has been charged with conspiracy to possess with intent to distribute more than 5 kilograms of cocaine. He is accused of participating with two associates in a drug deal in early December to buy cocaine from undercover federal agents in Sarasota. LIVE REGGAE BROADCASTING, BUJU LIVE SESSION TRIBUTES, COMMENTS FROM LAWYERS, FROM PRISON AND MANY MORE.